Locks are the cornerstone of commercial security and help in creating a safe environment within the work premises. It’s every company’s responsibility to ensure that all their office locks are in perfect condition for the safety of its employees, clients, and customers. 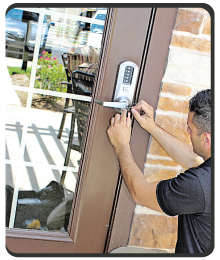 Orlando Locksmith Solution is a go-to locksmith firm in Orlando, FL that offers dedicated lock repair to commercial organizations and is known for its timeliness and quality. Commercial establishments do not take risks like engaging amateur firms for lock repair jobs and understandably so. Many local locksmiths proffer substandard service under the pretext of affordability and may even damage your locks further due to lack of knowledge. We are not only an affordable locksmith firm but provide professional high-quality services with zero damage. Our locksmiths are hired from the best finishing schools and undergo rigorous training sessions to understand the intricacies of our craft. 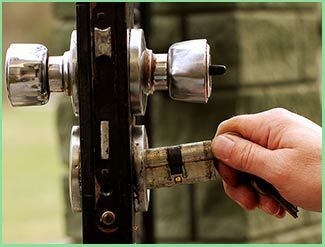 Whenever you call our expert for lock repair , rest assured you will get the best technician in the region. All commercial buildings are mandated to have a proper emergency exit in place. A non-functional emergency exit lock can attract penalty from authorities as it does not comply with the building safety standards. We offer 24x7 emergency exit lock repair services for commercial buildings at minimal costs. 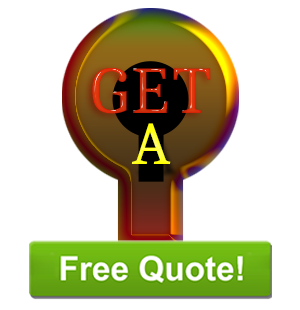 Call our locksmiths anytime for inspection, repair, and maintenance of emergency exit locks. Looking for an affordable service? Our locksmiths can fix all types of locks with zero damage. Call us now on 407-498-2331 !